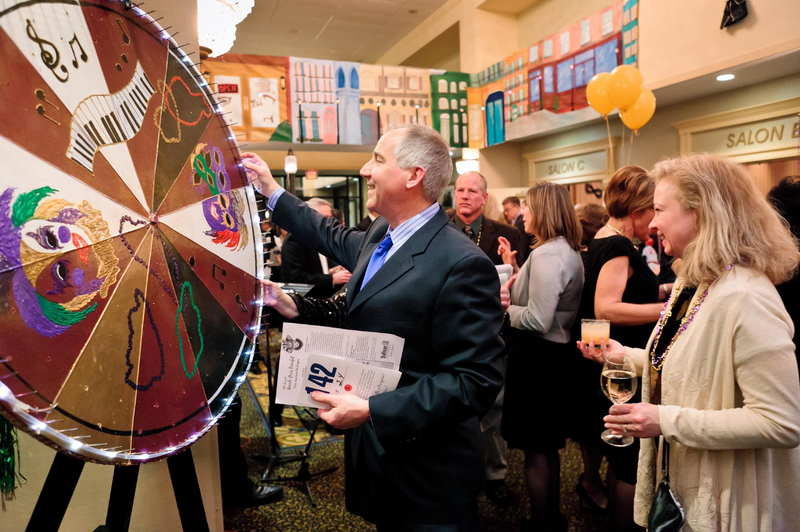 New Hampshire Catholic Charities (NHCC) will host their 9th Annual Mardi Gras Gala on Saturday, February 1st, at the Grappone Center in Concord. All proceeds to the gala will benefit NHCC’s emergency services and other vital programs. These funds support families and individuals by responding with assistance that helps move their lives towards self-sufficiency. With more than 400 anticipated guests, the gala celebrates New Orleans culture and pays tribute to one of the world's most recognized Mardi Gras festivals. Guests will be treated to cuisine, live music, dancing, silent and live auctions and other Mardi Gras-inspired entertainment. “We’re thrilled to have the collective support of so many wonderful volunteers and sponsors who have come together to make this year’s Gala bigger and better than previous years,” said Lisa Merrill-Burzak, VP of Development for NHCC. “Guests will have the opportunity to bid on exciting auction items plus vacations and luxury items during our live auction." The event's signature live auction will reward winning bidders with exciting travel and vacation packages to popular destinations like Hawaii and Chicago. The evening's roster of silent auction items includes ski and golf packages, getaways, exclusive wine tastings and more. Doors to the event open at 6pm and tickets are on sale now. For tickets or more information about the event, contact Rosemary at 603-669-3030 or e-mail: rhendrickx (at) nh-cc (dot) org. New Hampshire Catholic Charities is one of the largest private, non-profit, social services organization in the state, serving the poor and vulnerable of all faiths. People from all walks of life, in every community, turn to Catholic Charities. With ten district offices throughout the state, New Hampshire Catholic Charities runs programs such as the St. Charles Children’s Home, the New Hampshire Food Bank, professional counseling, adoption and maternity services, immigration legal assistance, and community outreach. For more information on New Hampshire Catholic Charities please visit http://www.nh-cc.org.